Are You Ready For 'Endgame: Sky Key' By James Frey & Nils Johnson-Shelton? This is not just a book! It is not just a hunt! This is Endgame! The second book in this much awaited phenomenon from James Frey and Nils Johnson-Shelton is here. And you'll gonna love what's gonna happen next. But first, the title is Endgame: Sky Key. Are you in to win the race? 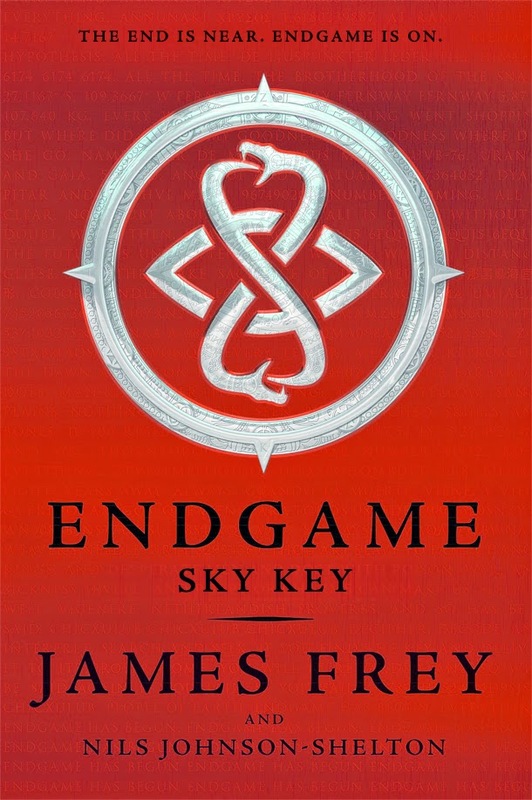 Updated: The official cover for Endgame: Sky Key by James Frey and Nils Johnson-Shelton has been revealed. And I was right on some point when I created the fan-made cover below. YAY! This is of course much better! Check out his fan-made cover, which I made, of Endgame: Sky Key by James Frey and Nils Johnson-Shelton. I have made it for those who are too excited to wait for the original and oficial cover. And I based everything from the upcoming Swedish edition of the book. The sequel to the New York Times bestseller and international multimedia phenomenon, Endgame: The Calling. Endgame is here. Earth Key has been found. Two keys—and nine Players—remain. The keys must be found, and only one Player can win. Queens, New York. Aisling Kopp believes the unthinkable: that Endgame can be stopped. But before she can get home to regroup, she is approached by the CIA. They know about Endgame. And they have their own ideas about how it should be Played. Ideas that could change everything. Kingdom of Aksum, Ethiopia. Hilal ibn Isa al-Salt narrowly survived an attack that leaves him horribly disfigured. He now knows something the other Players do not. But the Aksumites have a secret that is unique to their line. A secret that can help redeem humanity—and maybe even be used to help defeat the beings behind Endgame. London, England. Sarah Alopay has found the first key. She is with Jago—and they are winning.But getting Earth Key has come at a great cost to Sarah. The only thing that keeps the demons at bay is Playing. Playing to win. 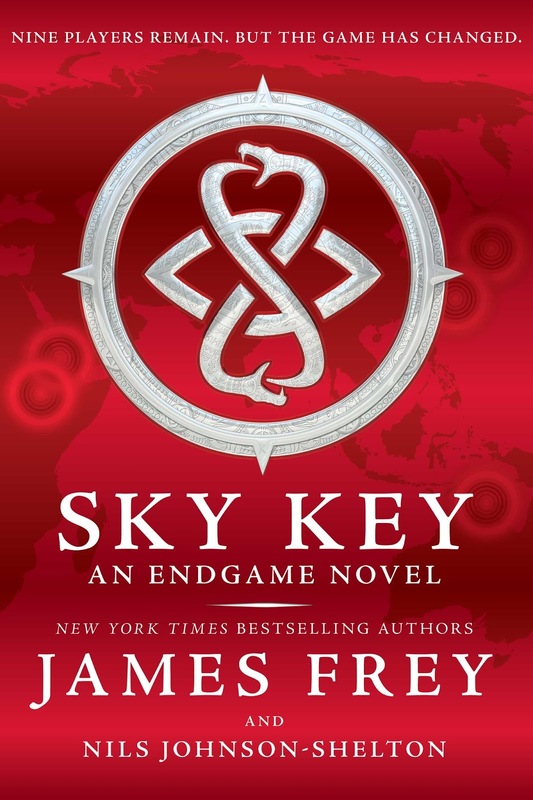 Endgame: Sky Key by James Frey and Nils Johnson-Shelton will hit bookstores on October 6, 2015. You can jump over to HarperCollins for more details.